Enjoy an unforgettable aerial view of Buenos Aires on a thrilling 30-minute helicopter ride, including hotel transfers. 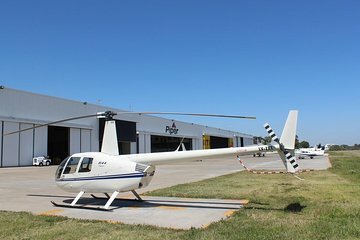 This private tour guarantees the undivided attention of your pilot-guide, as you soar over city landmarks like San Isidro Cathedral, San Martin Square and the Boca Juniors Stadium, and admire unbeatable panoramic views of the Parana River Delta. See Monumental Tower, San Isidro Cathedral, San Martin Square and more from above!